Shovels and spades are two very similar objects, but there are differences in appearance and best use of each tool. While some people use the terms interchangeably, there actually are clear differences between shovels and spades. Both spades and shovels are made from the same metals. Most spades and shovels are made from steel, aluminum, iron or plastic. It is most common to see spades and shovels made from steel, because it is one of the toughest metals and is also somewhat lightweight. Iron shovels and spades are very heavy, and very few full-sized shovels are made from iron. Aluminum shovels and spades are very lightweight, but they may not be strong enough to hold a lot of weight. The handles are usually made from plastic or wood on both shovels and spades. 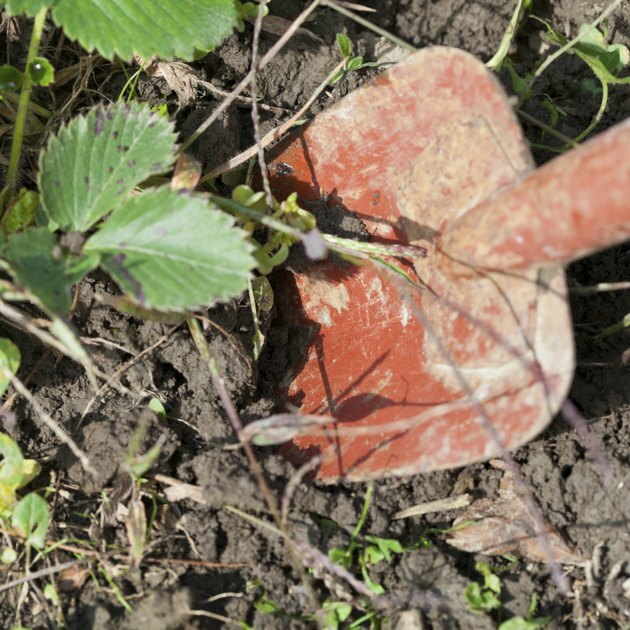 There are a lot of similarities between shovels and spades, which is why the two items are often confused for each other. Shovels and spades both have a long handle to grab and use to scoop dirt. Shovels and spades both have a flat top, used for pushing with the foot to dig deep into the ground. They both have the same basic blade shape, with a somewhat rectangular body and a slightly scooped center for holding dirt and other materials. The top handles are usually very similar, with the common "D" shaped handle, or just a straight handle or a "T" shaped handle. Both shovels and spades come in full size or smaller sizes. The only difference between a shovel and a spade is the scooping tip. The very bottom edge on a spade is completely flat. This is surprising, because the spade shape in cards looks like the head of a shovel, which comes to a pointed tip in the middle. Another difference between spades and shovels is their intended use. Spades, with their flat tips, are used for moving dirt and other materials from one place to another. They are also used for evening the depth of a garden bed by leveling the soil. The blade can also be used to loosen the soil by pushing the flat blade into the soil. 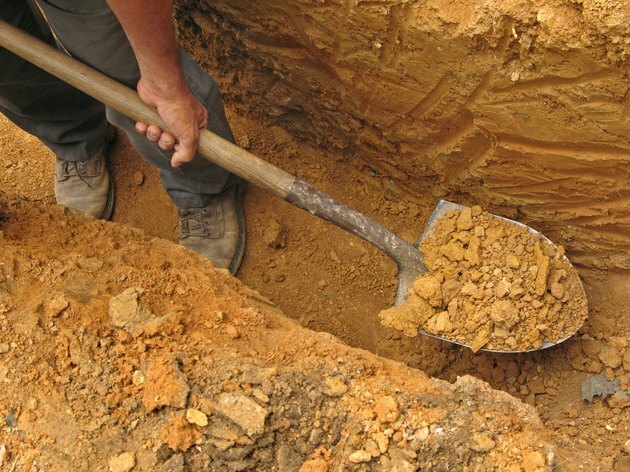 Shovels are used for digging deep into the earth. 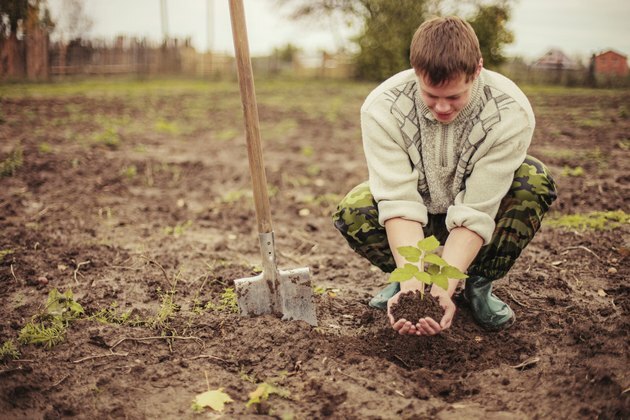 Shovels can also be used to loosen soil. Shovels are also better at moving soil from one place to another, because their scoop is deeper than that of a spade. 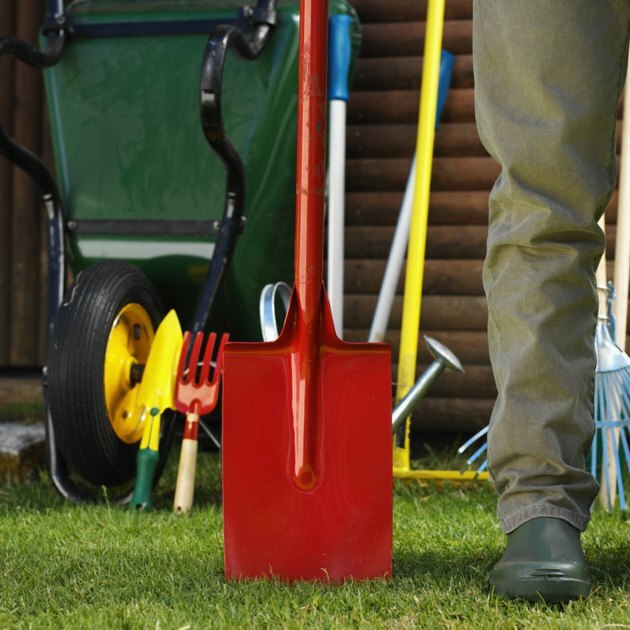 It is useful to have both a shovel and a spade on hand for any gardening or construction task. This is because efficiency is lost if the wrong tool is used. 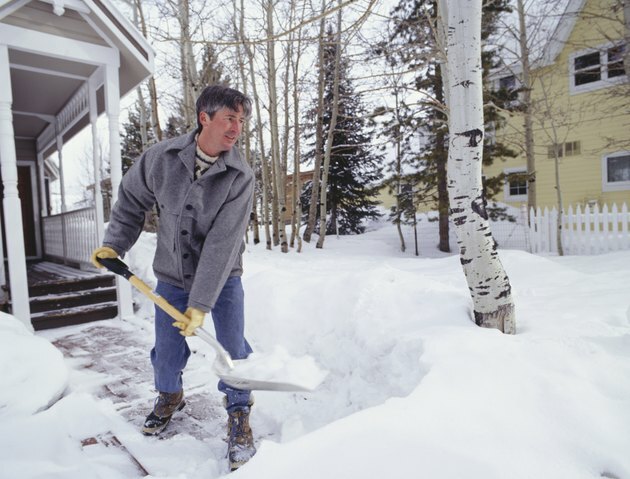 Keep shovels on hand for digging and moving, and spades on hand for loosening and leveling the soil. 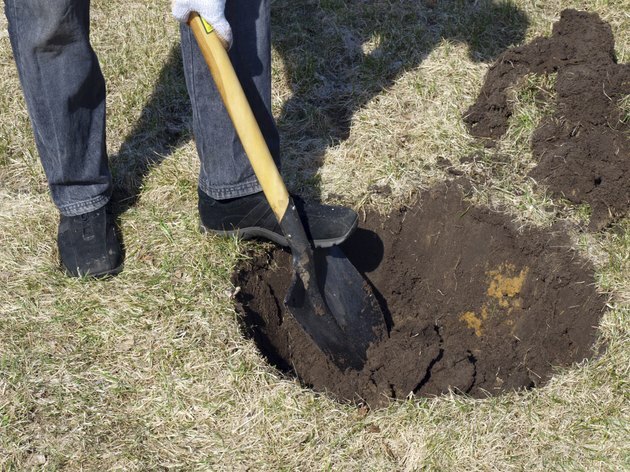 What Is a Spade Used For?